Washing and hanging laundry to dry are definitely two of the most unpleasant household tasks, but have you ever thought of an all-in-one washer dryer? These combo washer-dryers allow you not only to save time, but also space and money, since you don’t need to purchase a washing machine and a separate dryer. Washing and drying made easy! But how to choose the best all-in-one washer-dryer of 2016? There are many brands and models, but which are the best washer-dryers: LG vs. Samsung or Bosch vs. Whirlpool? In the following guide we have compiled a list of the most important features of washing machines and dryers that have to be taken into account when buying a combo washer dryer. The first question to be answered is whether you need a front load or a top load machine, which mostly depends on where you want to put the device. Top load machines don’t fit under a work surface, but are great when standing alone in small places, since they are more narrow and compact than front loaders. Top loaders are usually cheaper and the cleaning process is much faster, but have more water usage than front loaders. Machines with a front load are, on the other side, more energy efficient, quieter, have a larger capacity, and can stand under a work surface, if prefered. Their drums also spin faster, so that the clothes are drier in the end of a cycle, which means less time in the dryer. Besides the way of loading, washer-dryers can be differentiated by their drying technology (vented drying and condense drying). 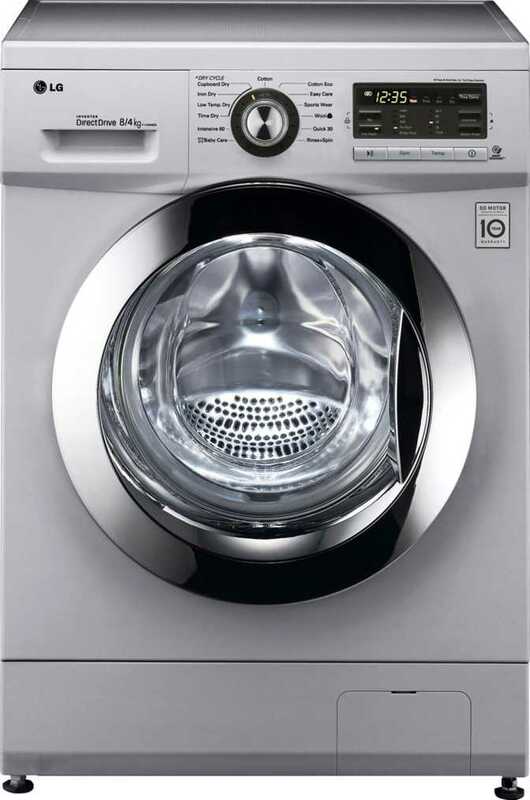 Vented washer dryers work like normal front-loading washing machines. After the washing and spinning cycle the dryer takes air from its surrounding, heats it up and spins it with the clothes, while the air picks up the moisture, produces steam, which then leaves the home through a vent. This process is repeated several times, until the clothes are dry and contrary to some condense dryers, you don’t need to empty a water container. In general, vented dryers are cheaper and more efficient than condenser dryers. Condenser dryers work with a cooled, plastic or metal condensing chamber and therefore don’t need an outside exhaust, so that they can be placed anywhere in the home, whereas vented dryers should be next to an outside wall. While the drum spins, heated air goes through the clothes, taking up the moisture, which is then circulated through the cooled condensing chamber, producing condensation. The water either stays in a water container or leaves the machine by a water drainage tube. This process is repeated several times until the clothes are dry. Most of today’s compact washer-dryers are condenser dryers. A more complex and therefore more rare technology is the heat pump technology for drying, which can save up to 50% on energy as it conserves heat better. When the drying cycle begins, hot air is flowing inside the drum, which then cools down by taking moisture from the clothes. This air is then getting sucked into the heat pump, where the moisture is separated again from the air, which is going back to the drum to repeat the process. The water is filtered out every time and leaves through the water drainage tube. The process takes longer than with condense dryers and in temperatures lower than 5 degrees the performance of heat pump (washer-)dryers begins to suffer. A washer-dryer with a heat-pump is, for example, the AEG ÖKOKombi. Some combo washer-dryers work with a direct drive motor, which has no belt and pulley and therefore wastes less power in friction. These combo washer-dryers are also less prone to breakdowns and have longer lifetimes in general, as well as less vibration, which results in a quieter operation (LG F1496AD5, LG WM3997HWA and Whirlpool WFW96HEAU). 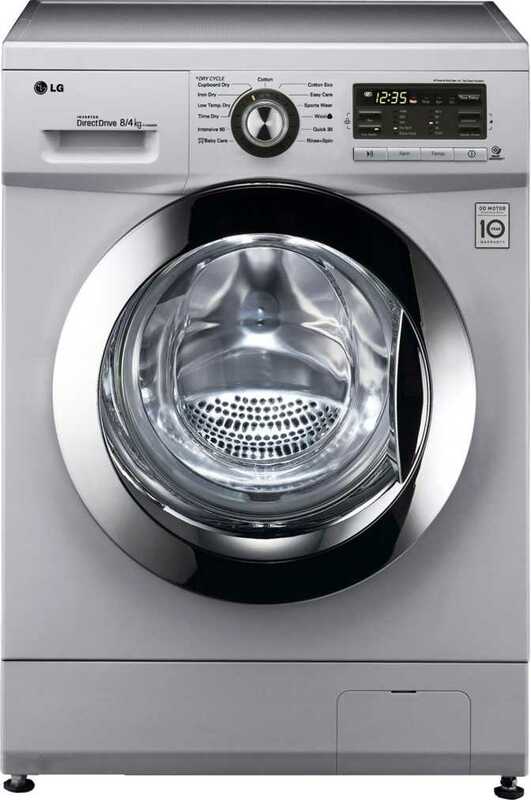 One of the most important features of a washer-dryer is the drum capacity, which indicates how many kilograms of dry clothes you can wash and dry, so that both functions work. The average laundry capacity is approximately 7 kg, which is enough for a medium-sized household, while 5-6 kg (around 16 men’s shirts) are enough for couples and 12kg (about 38 shirts) are for very large families. When buying an all-in-one washer-dryer, it is important to consider that the drying capacity is always smaller than the washing capacity. So after having washed your clothes, you will probably need to take out some clothes, because otherwise they won’t be able to dry. 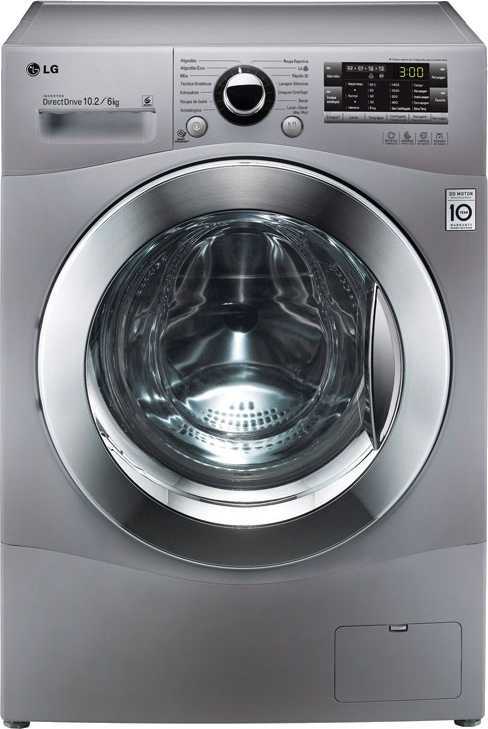 The drums of washing machines are designed in a way so that the clothes rub against each other to get clean, whereas when drying, clothes need space to open up to get dried through the hot air. That is why drums of washing machines are smaller than drums of dryers. It is also important to consider that cycles can last longer than with separate machines, ranging from about 2-3 hours. A bigger drum size results in a bigger machine, so make sure you have the space for the device and also consider some space for the vibration, as well as the way the door opens. 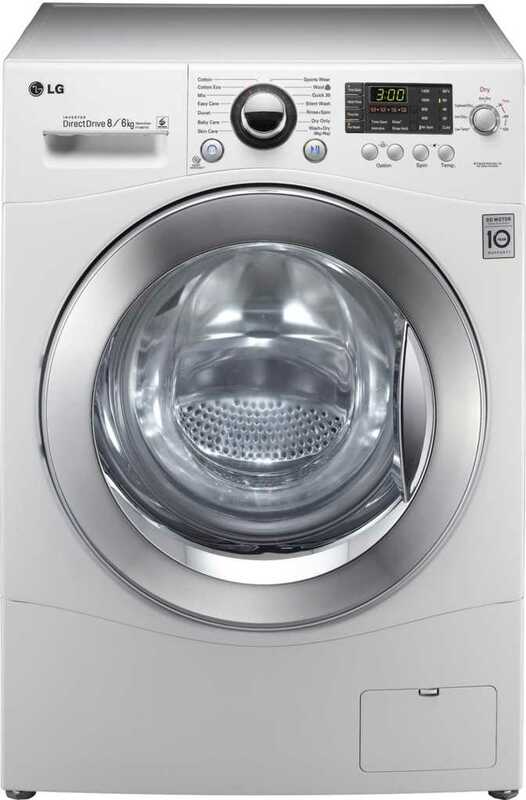 Some washer-dryers provide a load sensor, which not only indicates when you have overloaded your machine, but can also calculate how much water and detergent is needed for your laundry, based on the information of the load. The load is measured through the integrated dampers counterbalancing the depression of the tub while loading, nowadays often measured by a displacement sensor. An important feature for washing is also the spin speed, which is the drum’s number rotations per minute (rpm) and usually has a range between 1000-1600 rotations per minute. Lower speeds are better for cleaning soft fabrics, like wool and silk, while higher speeds are better for a thorough cleaning and reduce the time your clothes need to dry, shortening your drying cycle. On the other hand, higher speeds often result in higher costs and usually cause more noise. The importance of the noise level, when spinning and drying, depends on where you will place the machine. If it stands close to a bedroom or you want to let it run during the night, you may consider a device that shows good results in noise tests. Quiet devices are, for example, the AEG ÖKOKombi and Bosch WVH28422GB. All-in-one washer-dryers allow you to wash and dry your clothes in one process or set separate only drying or only washing cycles. Almost all compact washer-dryers provide a range of programs and settings, like delicate washing and drying, temperature and spin speed settings, pre-wash, timed drying or extra rinse. The average number of washing and drying programs is 16. Delay start option: This feature enables you to set the start of the machine’s washing or drying cycle at a specific time, while sometimes there is a maximum of hours for a delayed start (LG WM3997HWA). 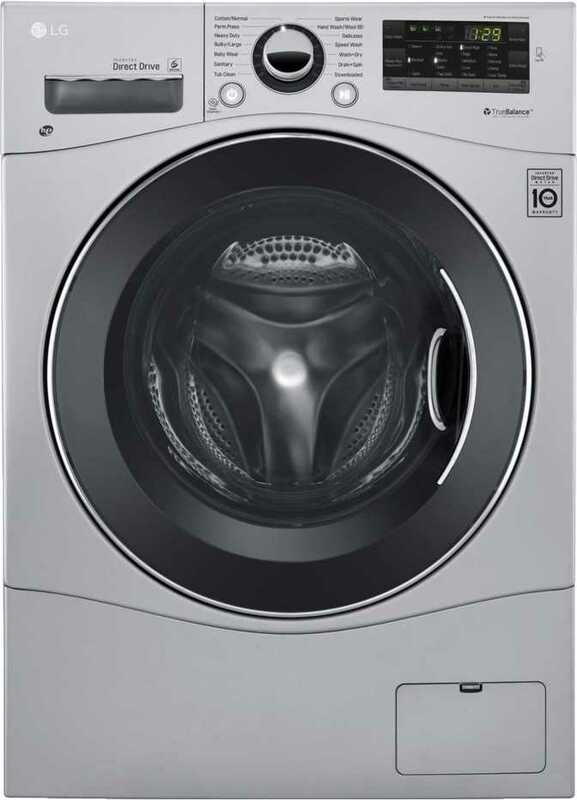 The quick wash or quick cycle function: It allows you to wash, for example, small items with a fast 15 minutes cycle (Bosch WVH28422GB, Siemens iQ500). 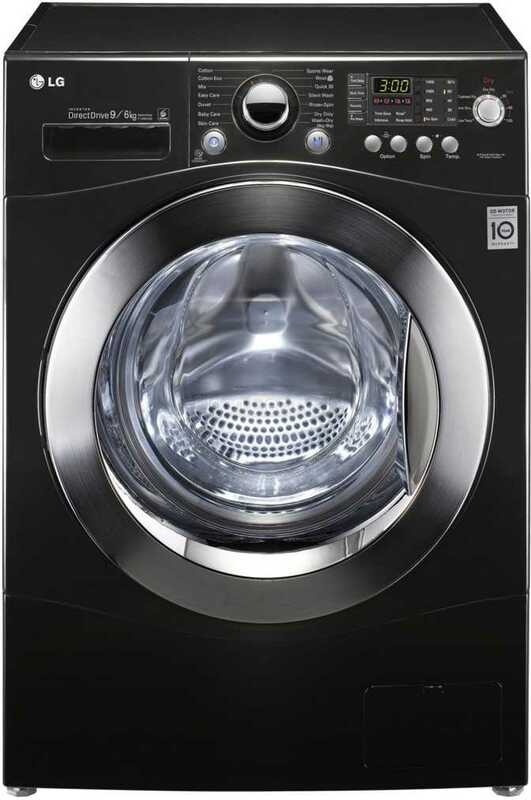 Steam technology: Some combo washer-dryers also work with the steam technology, which is a great complement to water, keeping the fabrics wrinkle-free and soft. 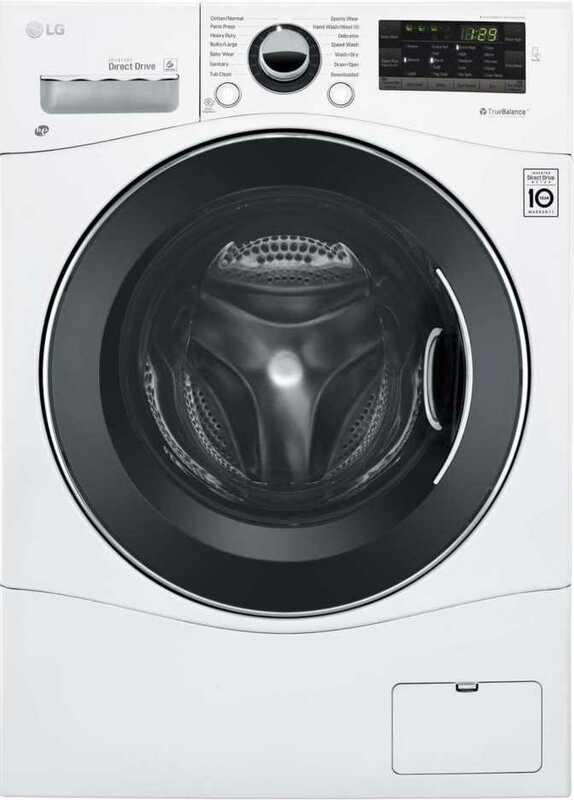 The steam helps the water to soak the clothes more, increases temperature and helps dissolving the detergent and sterilizes the clothes better (LG WM3997HWA). Sanitize option: With a sanitize option the machine uses high temperatures in order to kill bacteria (Samsung WD8000, Samsung WD906U4SAGD). Sensor drying: The machine works out how much time is needed based on how wet and how heavy the clothes are (Siemens iQ300). Auto finish: Another way of saving energy is the auto finish. Machines with auto finish will switch off automatically when the laundry is dry. This feature prevents over-drying, saves you running costs and eliminates the risk of finding wet clothes (Siemens iQ500). When buying an all-in-one washer-dryer, besides the actual price it is also important to consider the cost of running it. Factors that have to be taken into account are the annual power consumption (in kWh), which is on average around 956.88 kWh per year for washer dryers, the power consumption in standby mode (in W), which is on average around 0.22 W and the annual water consumption. The average use for washing is 11.5 litres of water for every kilo of clothes, and five litres for every kilo of dry clothes, meaning that a device that has a 7kg wash capacity and a 5kg dry capacity will need 18,000 litres of water per year. Devices that have a top energy efficiency are either Energy Star Certified, or have an energy efficiency rating of A++ or A+++. 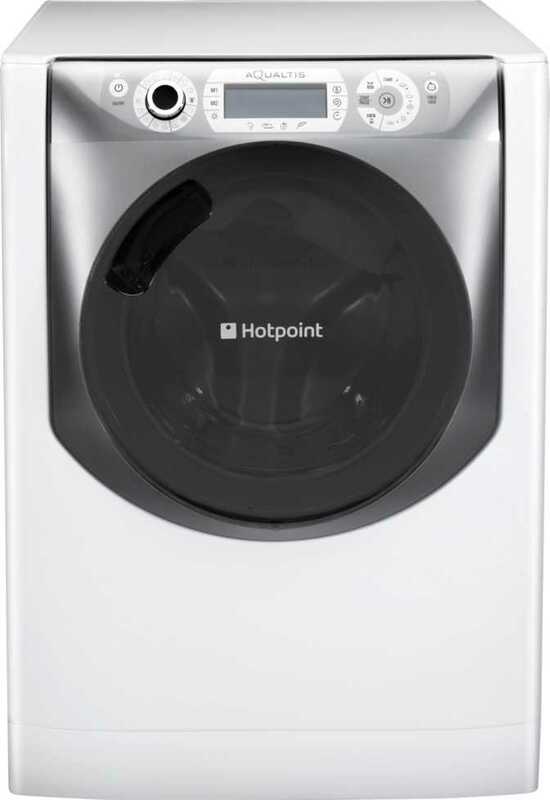 When having a energy efficient washer-dryer, an all-in-one unit can really be a energy saver like the Neff V7446X1GB and AEG ÖKOKombi.